Geocaching is the outdoor treasure hunt game that lets you explore the outdoors with your kids. Using navigation skills, encouraging curiosity and with the promise of finding some swag, it’s an App that parents can finally endorse. When it comes to dragging reluctant children to go on a walk, Geocaching’s powers of persuasion are renowned. It’s also an activity for which the Explore phone is ideally suited. Little fingers can drop it in water, the Adventure Pack boosts your GPS signal, and battery life is not an issue. If there’s one golden rule about geocaching it’s that you should always take something, no matter how small, to put back in the cache. Good suggestions include pencils and pens, keyrings, a hair band, a deck of cards. But never sweets. The practice also encourages kids to go through their unwanted clutter from time to time. Even though all caches are sealed tight and usually waterproof, the pen to sign the logbook quite often won’t work so make sure you bring your own. Connect the Adventure Pack to boost the GPS signal of the phone. This will give a more accurate position, helping your navigation, as well as improving battery life. Put them together inside the case and then use the carabiner to clip it onto a belt loop or shoulder strap for kids to enjoy that real explorer look. Nothing’s worse than the disappointment of a Geocache with no swag, so plan accordingly. When you’re searching for Geocaches in your area, first look for ‘traditional’ caches and then when you click for more info, check the size chart. If it’s small, it may just be a logbook. If you see a large geocache, you’ve lucked out as they’re rare to find. 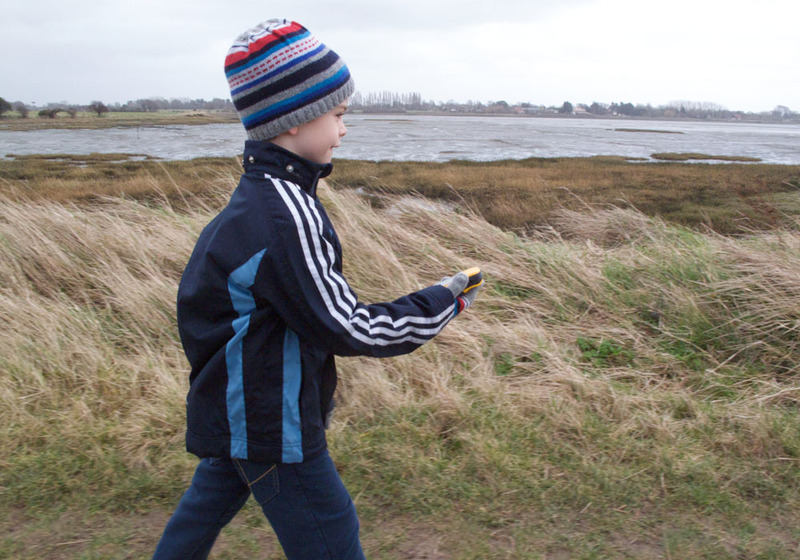 Optimise the Outdoor Dashboard on the Explore phone to maximise the fun for little Geocache explorers. The dashboard displays key weather data and outdoor tools in one place. Add altimeter, wind direction, chance of rain or features like the SOS torch or Share Location feature. Some Geocaches are buried deep within trees, hedges, under bridges or rocks. A torch is invaluable but you don’t need to take one. There’s one on the Explore. Add it to the Dashboard (see above) to access easily and then shine it in the darkness to find that treasure. When it comes to navigation, having one person in charge of the map is better than trying to do it by committee, but make sure everyone feels a part of the team. You can do this by appointing observers to relay information about the terrain ahead to check it matches what’s on the map. Or divide responsibility between the navigator and the cache hunter, so whoever’s not on the phone gets to search when you’re close. Inspired? Discover some of the world’s most amazing geocaches here and remember to tag us in your treasure-hunting adventures! At Land Rover Explore we love our adventures in the great outdoors almost as much as we love our four legged friends. In fact, when you share a great day out with your dog, it’s all the more enjoyable and memorable. Here, we explore some of our favourite dog-friendly adventures.